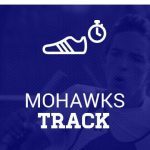 Monday, April 18, 2016 5:00 PM Waldron High School AWAY 0 Shelbyville High School HOME 5 Meet Recap The Lady Mohawks fell 5-0 to Shelbyville Monday night. They are back in action Tuesday at Greenfield Central at 5:00. Saturday, April 16, 2016 10:00 AM Waldron High School AWAY 1 Southwestern (S) HOME 13 Game Recap The Lady Mohawks fell to Southwestern on Saturday 13-1. The Lady Mohawks are back in action on Tuesday, April 19th at home vs. Edinburgh. Game time is 5:00. Mohawks News · Apr 15 Sign up for Waldron Text/Email Alerts!